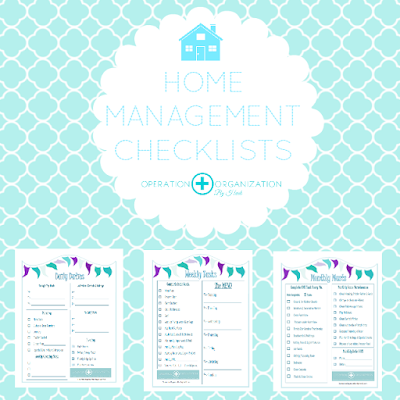 This form is intended to help remind you of all the basic routine tasks that help keep your home running smoothly. 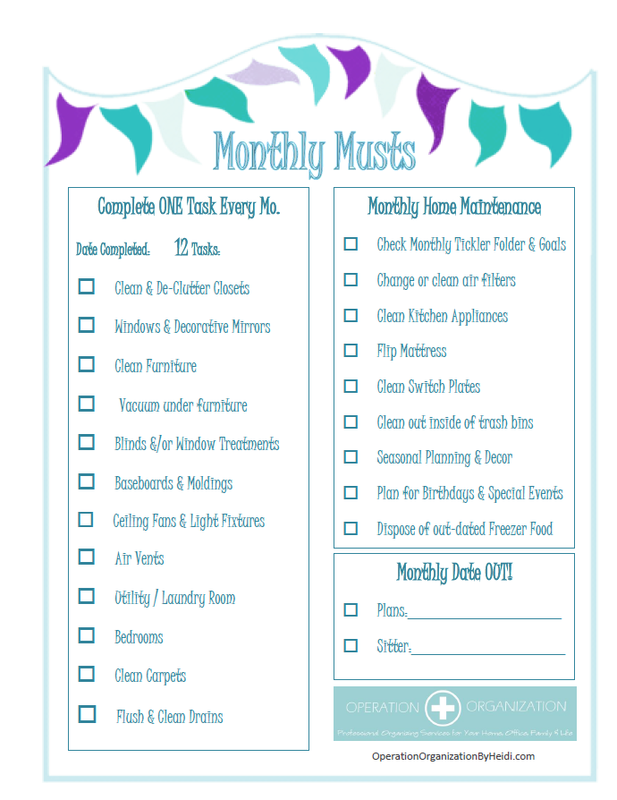 There are open spaces to fill in your own visual reminders as well. 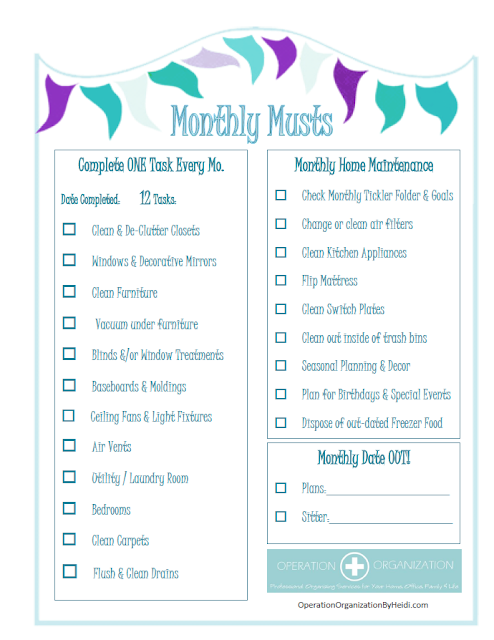 There are a few different approaches a home manager can take in completing weekly cleaning and home maintenance tasks. Designate one or two tasks to be completed on specific days of the week. 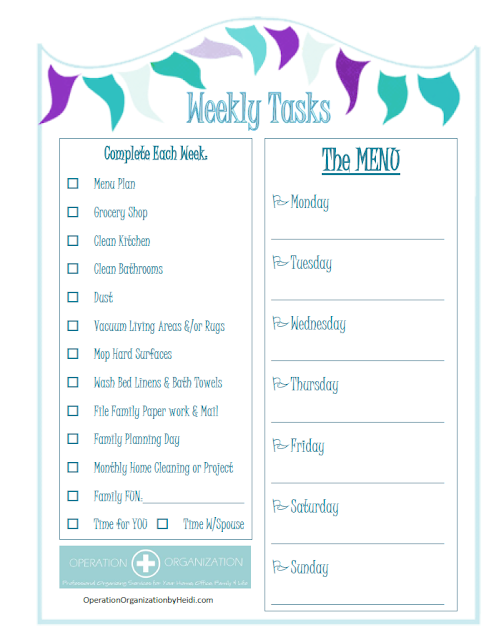 There is a check box to complete these type of tasks on the Weekly Task form as well. These are great! I like the way they are divided into daily, weekly and monthly. Love your forms. They are really attractive and have been sectioned up really well. Thanks for sharing. I'll say hi and greetings from Down Under. 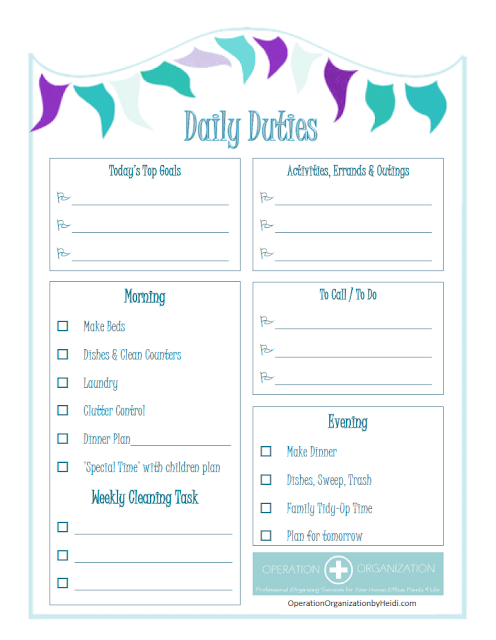 I also have an organizing blog at http://routinehabit.com/blog. will definitely be back to check out what your up to soon. Please come and visit me too. I don't have a way to laminate, but putting them in a page protector will allow me to use a dry erase marker to 'check them off'!! I am putting them all behind plexiglass in a large frame I found and the thrift store and spray painted.